It’s been an eventful week in Montreal with the NBA coming to town and giving fans a great basketball experience with the Raptors preseason game, NBA Crossover, special appearances by NBA legends and more! Alex Paquin is a crafty guard with a nasty handle. He can beat you with his scoring or playmaking. Canada beat Brazil last Thursday night in an 85-77 victory in front of 4500 fans at Place Bell. Kelly Olynyk led the charge with 20 points and 19 rebounds. Kris Joseph is a Montreal legend! He earned the MVP title during the Ballers Echelon 2018 season while being leading scorer with 26.5ppg, 8rpg and 3.8apg. BdotAdot5 was the special guest at Underdog Challenge 2018! 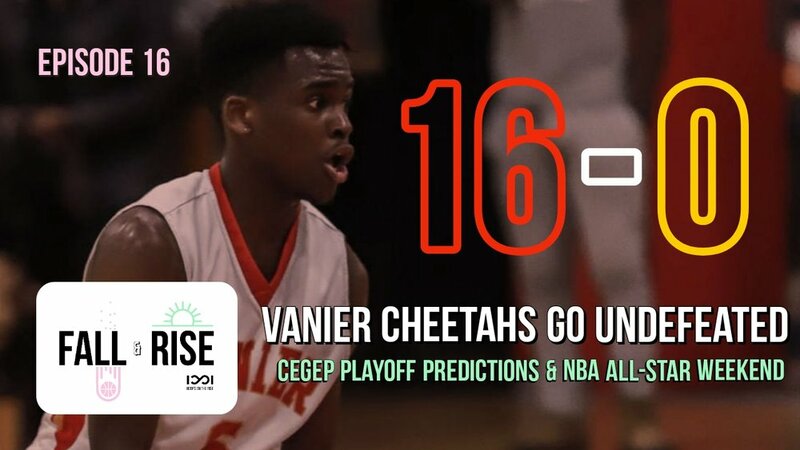 The Vanier Cheetahs have accomplished a regular season feat that hasn’t been done since 2004. They went undefeated! 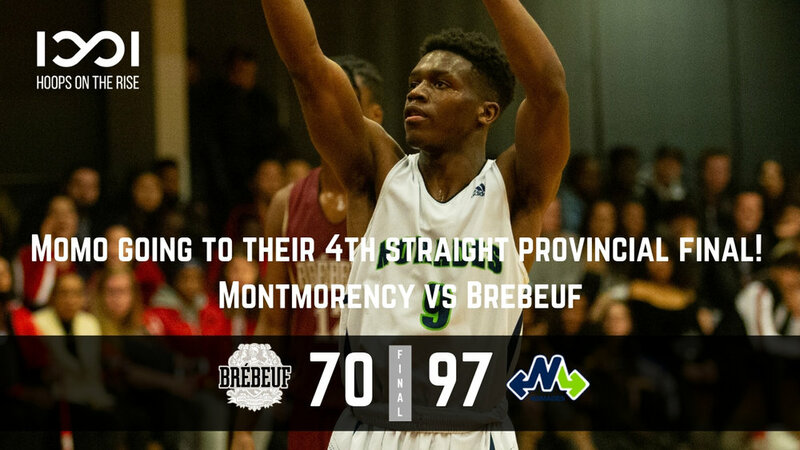 Can they continue the streak and go on to win the provincials? The National Basketball Association, the Toronto Raptors, Sun Life Financial along with the Boys and Girls Clubs of Canada partnered up to help expand the Dunk for Diabetes (Basket pour le diabete) program in Quebec which is the first of its kind ever in the French province. The Ryerson Rams hosted the Carleton Ravens and the Ottawa Gee-gee's to start their 2019 campaign in what was a great weekend for U Sports and OUA basketball. 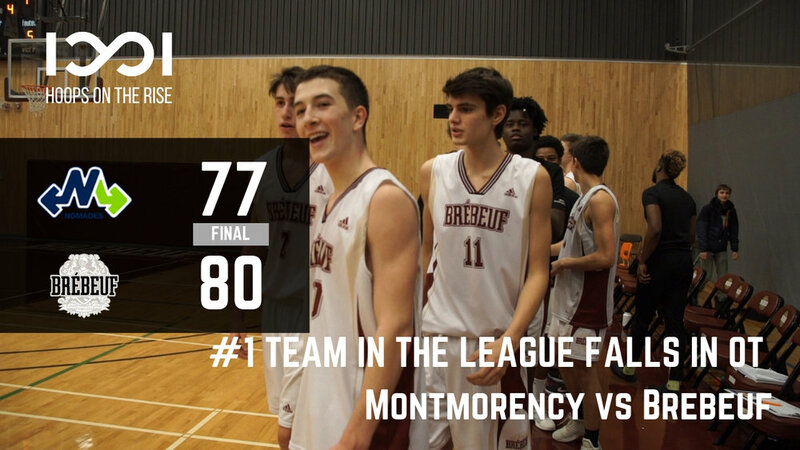 Friday night, the Vanier Cheetahs (100-86) conquered the Nomads of Montmorency college by a double-digit for what was called ' a big game ' at the Vanier gym. Don’t miss out on any announcement! © 2018 Hoops on the Rise. All rights reserved.